Before diving into research results or any data analytics, it’s wise wondering what is actually being measured and how. Understanding the nature of our data is the first step away from rushing into conclusions driven by presumptions. We also need an experimental mindset and methodology, but we’ll leave that for another post. What does Voizzup for podcasting measure? Podcasting industry has traditionally relied on estimations based on server statistics, such as (progressive) downloads and, often misleading, subscription numbers. This is a nice and very complete article about podcast performance metrics, by Kathleen Booth. Like Kathleen says, “the most meaningful metric of all is audience engagement“. When it comes to audio, there’s no better way to assess audience engagement than measuring listening time. This other article, by Seth Resler, explains the importance of measuring time spent listening: “In the radio industry, one of the most important metrics we measure is “Time Spent Listening.” Unfortunately, there has been no equivalent measurement in the podcasting world. You may know if a podcast episode was downloaded, but that doesn’t tell you how much of the episode was actually listened to (if it was listened to at all!)”. Resler also explains why, until recently, there has been no equivalent measurement in the podcasting world: “The reason we’re missing this metric is because while the audio files for a podcast reside with a hosting service, people listen to podcasts on apps called “podcatchers,” such as Stitcher, Overcast, or Pocketcasts. For a podcast hosting company to report how much of an episode was listened to, they would need to get data from these podcatchers“. Something that forever changed when Apple Podcast, by far the dominant app/player in the podcast space, started sharing data analytics based on actual listening time (instead of downloads) with the content creators. 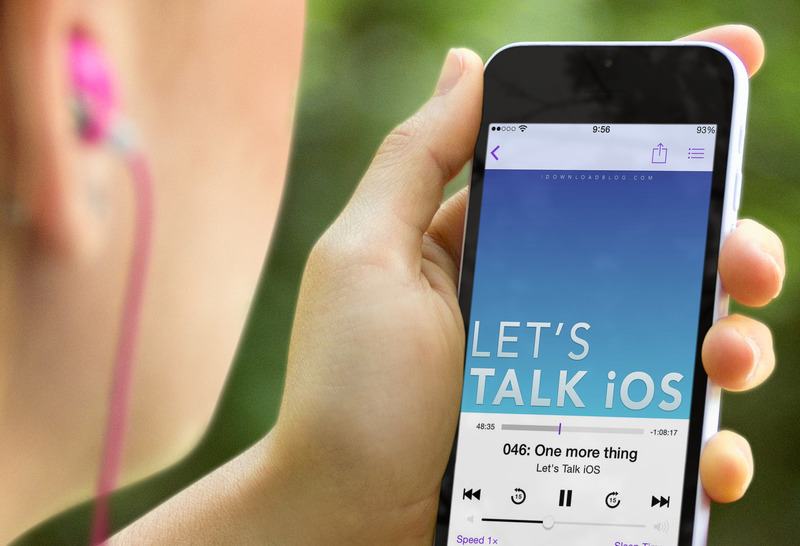 When this big and long expected announcement by Apple arrived one year ago, our team at Voizzup was already helping radio stations evaluate on-air daily contents by measuring listening time on their radio station branded mobile apps. Qualified opinions like Kathleen’s and Seth’s made us think there was also an opportunity for listening time analytics applied to help the podcasting world. Every week we learn of a radio organisation or editorial group that decides to create their own on-demand audio content and to launch their own podcast platform. A big chunk of their audience, mainly core listeners, choose the proprietary mobile app of these organisations for consuming their audio content. That’s why we recently decided to apply to podcasting Voizzup’s focus and expertise in radio: audio content evaluation through analysis of listening behaviours on the existing mobile apps of the organisations. How do we measure listening time? At Voizzup, we are committed to the compliance with IAB Podcast Measurement Technical Guidelines as the path to standardisation of analytics in podcasting industry. As seen in the most updated version of these guidelines, actual listening measurement remains an unsolved challenge for the IAB. We strongly believe there will be new additions on listening time measurement soon, we stay expectant. Meanwhile, we paid attention to developments in the matter in some advanced markets, such as Sweden. This post on Om Poddindex explains the Swedish Podcast Measurement Standard, which has been created by a working group including Sveriges Annonsörer, Sveriges Radio, Acast, Bauer Media and MTG Radio. Actual Listens are still estimated as a percentage of downloads or started listens through progressive download from hosting servers. They admit the limitation of this methodology: “While the metric aims to capture that a podcast is heard, it can’t be guaranteed”. Some podcast providers, like Sveriges Radio or Bauer, have started measuring consumption (actual listening) time on their own mobile apps and the Swedish Podcast Measurement Standard is currently working on including this metric in coming guidelines. At Voizzup, we would like to contribute to the subject sharing some of our learning gained during the last years. We are open to discussion and would welcome initiatives for cooperation and shared learning. We believe that in order to understand listening behaviours, measurements must be collected as close as possible to the listener. Therefore, despite it increases technical complexity, we measure at the playing device rather than at the streaming server. Voizzup’s API is constantly listening for acts of engagement on the radio station’s proprietary app. We collect all kind of user triggered interactions like play, pause, mute, seek, volume changes… as well as player generated events such as beginning of a listening session, pings during playback and stalled streams. Below we describe our methodology and some of our engagement metrics. A listening session begins when the audio playback starts at the user’s device. The clock stops permanently when the user requests a pause, quits the app or a technical issue prevents the stream from playing any further. The app reports data back to Voizzup every 20 seconds while the listener is playing an audio stream or download. If the audio stalls because the buffer runs empty, or the user pauses the audio, pings are not sent. Each ping contains data detailing the listening session until that ping. We flag listening sessions as valid if they are longer than 60 seconds, in order to account only for engaged listening time and discard technical issues or very short listens (tryouts). The total number of hours that all listeners have spent listening to an audio stream or downloaded content, over the course of the selected time range. The total number of unique devices that have been playing a valid session over the course of the selected time range. The average time in minutes listeners are spending listening to your content. We divide the total listening time by the unique number of devices, over the selected time range. We can filter by content stream or download, as well as by listener behavioural patterns like loyalty.